Paul J. Siegenthaler > Blog > Deals in the making > Sika and Saint-Gobain : will reputation outweigh the legal verdict? 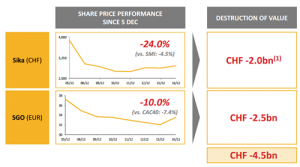 Whatever the outcome of the challenged take-over of Sika by Saint-Gobain, which was first announced in December 2014, there will be bitter lessons to be remembered in the future, and other companies whose capital structure includes shares with preferential voting rights might see their value plunge unless they can provide the clarity that is so obviously missing in the case of Sika. When a minority shareholder holds the majority of the voting rights, that shareholder can unilaterally make decisions that serve self-interest but are seriously detrimental to the interests of the shareholder majority – and this is what is happening at Sika, whose founding family’s holding company owns 16% of the shares but 52% of the voting rights, allowing them de facto to do whatever they please. Saint-Gobain are offering a 78% premium for the stake of the Burkard family and it is easy to understand why that family is eager to accept the USD 2.9 billion they are being offered. However, Saint-Gobain have no intention of making an offer on the rest of Sika’s capital; why acquire any more when their proposed acquisition of 16% of the capital will suffice to give them full control of the company. It is hardly any wonder that the proposed transaction caused an immediate outcry from the remaining shareholders who claim that the deal should not be allowed to proceed unless a public offering is made for the remainder of the share capital. 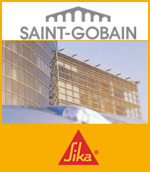 Saint-Gobain and Sika are today direct competitors. 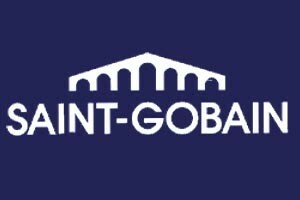 If the deal goes ahead, Saint-Gobain will only reap 16% of Sika’s future profits, therefore the synergies and any other benefits resulting from the acquisition will be biased to benefit Saint-Gobain far more than Sika, thereby weakening Sika and further undermining the value of the other shareholders’ investment. These other shareholders include the Bill and Melinda Gates Foundation whose high profile has given the Saint-Gobain Sika deal worldwide exposure. The Gates trust released a statement declaring that “the proposed transaction makes no strategic sense, is an affront to good corporate governance and is not in the interest of Sika’s business, employees, customers or public bearer shareholders”. It is obvious from that statement that the Gates trust will fight tooth and nail to block the proposed sale. This is war. Just like many other Swiss companies, and indeed companies across Europe, Sika’s articles of association contain a number of oddities, in this particular case an “opt out” clause which stipulates that a sale of 33.33% of the company’s voting rights can be made without an open public offer to bid for the rest of the capital. As the Gates trust rightly states, this clause flies in the face of good corporate governance, but the Swiss federal administrative court confirmed on 1st September the opinion voiced earlier by Switzerland’s M&A Commission (COPA, Commission Suisse des OPA) that Sika’s opt-out clause is legal under Swiss law, according to which opt-out clauses must be challenged within 2 months of being introduced, after which they are binding. The only possibility of removing such a clause after that deadline is to modify the company’s articles of association, which requires a majority vote by the shareholders; quite a challenge when 52% of the votes are in the hands of the Burkard family who argue that investors in the company should have been aware of Sika’s share structure. Nonetheless, whilst the COPA declared the opt-out clause to be legal, it did not attempt to clarify whether this particular instance the opt-out clause was being invoked in an abusive way. With the opt-out clause confirmed as legal under Swiss law, but in theory still open to challenge as to whether it was being invoked in an abusive manner in this particular instance, the remaining shareholders sought other ways of proving that the Burkard family was serving its own interests to the detriment of the other shareholders and the company as a whole. 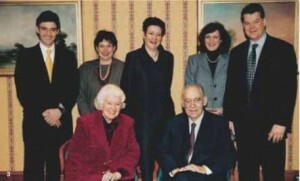 This was prompted by the Swiss trust fund ETHOS which requested at a shareholders’ meeting that the controversial opt-out clause be removed; the objective of that request was to prove that by opposing ETHOS’ proposal, the Burkard family was voting in self-interest and more importantly against the interest of the majority of shareholders. To add to the confusion, it was unclear whether the special shares to be sold by the Burkard family were subject to the restriction requiring sales of more than 5% of the capital to be approved by the Board of Directors. And in an separate further legal case, as the majority of the Directors are opposed to the transaction, the Burkard family is arguing they were prevented from using their full 52% voting rights to elect new Board Director and remove some of those in place. 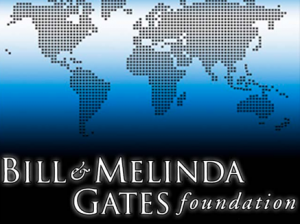 In an additional layer of legal complexity, the Bill and Belinda Gates Foundation is now attempting to sue Urs Burkard, who represents the family and is the only member of that family on the Sika Board of Directors, for failing to act in the company’s best interest when he negotiated the sale of his family’s shareholding to Saint-Gobain. Legal claims against specific members of a Board have a weaker legal basis in Switzerland than they would in the United States, and Urs Burkard’s spokesperson has so far dismissed the threat of such legal action. So far, the only actors in this dramatic saga to benefit from the current criss-cross of recriminations and court cases have been the lawyers. On 15th September, the Swiss Competition Commission (COMCO) had little other choice than to unconditionally authorise the acquisition by Saint-Gobain of control over Sika, given the favourable ruling on that matter by the European Commission in July and the decisions made earlier by other competition regulators, particularly in China and in the USA. Done deal? Not yet, mainly because of the on-going legal proceedings, but also because Sika’s directors and shareholders will continue to obstruct this acquisition by every possible means. Initially, the deadline for closing the deal was set to year end of 2015, but that had to be extended to mid-2016. A lot can still happen until then. Ultimately, what might block the deal is the threat to the reputation of Saint-Gobain’s, whose share capital is largely in the hands of institutional investors who will not be impressed by Saint-Gobain’s contempt for shareholders. If the deal goes ahead, Sika’s shareholders will forego the opportunity to benefit from the 78% premium being offered to the Burkard family, and face the prospect of future decline of their shares’ value. If the Bill and Belinda Foundation, whose backing of worthwhile causes is acclaimed the world over, is hit financially by the Sika Saint-Gobain transaction, Saint-Gobain may be faced with a well deserve torrent of negative PR. Can a company hide behind legal court decisions to act unethically? In theory the answer appears sadly to be yes, but if they do they will have to accept the consequences.